Loretta Lynn is a chart-topping and top-selling American country music singer-songwriter. 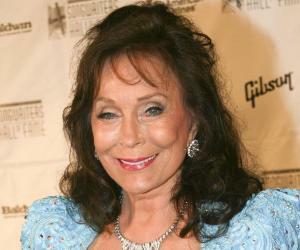 Melodious voice, old rustic feel and chartbusting tracks have made Loretta Lynn what she is today. A star performer, Lynn has had a glorious 50 years of career in which she played a dominant role in changing the world music scenario. Her soulful country renditions gave way to the strong feminist tracks which kick-started a new genre in the music industry. She played a ground-breaking role in music, contributing greatly to American country music. It is due to her strong influence in country music that she has been named as the First lady of Country Music. She is also popularly known as Country Music’s First Girl Singer. In her five decades and on-going career, she has released more than 160 songs and 60 albums with total sales of 45 million records. She has had ten Number 1 albums and sixteen Number 1 singles on the country charts. 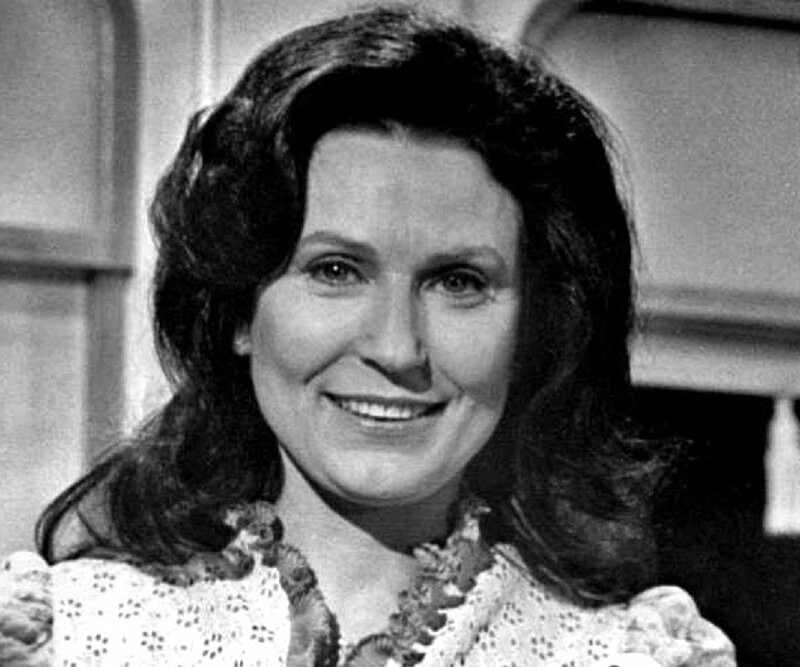 Loretta Lynn was born to Melvin ‘Ted’ Webb and Clara ‘Clary’ Marie. She was the second of the eight children born to the couple. Her father worked as a coal miner, storekeeper and farmer. Raised in Butcher Hollow, in a coal mining community, she started singing at an early age. Like most of her siblings, she pursued a career in music. She moved to Washington State along with her husband and family with an aim to look for better work opportunities. It was in 1953 that he brought her a Harmony guitar, which she learned to play. Three years later, after much pursuance from her husband, she started seriously thinking of music as a career. She started improving her guitar playing skills and took up a singing position at the Delta Grange Hall, with Pen Brother’s band - The Westeners. In 1959, she formed her own band, along with her brother jay Lee Webb, titled, Trailblazers. She then performed at a televised talent contest, which she eventually won. The performance in the talent contest led her to gain a contract with Zero Records. The company arranged for the recording and release of her four songs, ‘I'm A Honky Tonk Girl’, ‘Whispering Sea’, ‘Heartache Meet Mister Blues’, and ‘New Rainbow’. For the promotion of the song, she travelled to various radio stations playing country music. The efforts led to her song becoming a minor hit. She moved to Nashville in late 1960s where she began cutting demo records for the Wilburn Brothers' Publishing Company. It was while working with the Wilburns that her career witnessed yet another upscale drive as she secured a contract with Decca Records. Very soon, she became the number one female singer in country music. Her first single under Decca Records, ‘Success’, like its title, was a super successful venture. The song peaked at the number 6 position on the Billboard and served as the start of a legacy that would continue for the decade and later. Keeping up with her genre, she released her next song, ‘Before I’m Over With You’ which peaked at number 4 on the Billboard chart. She supplemented the success of her earlier ventures with equally or more successful songs such as ‘Wine, Women and Song’. In 1964, she released an album with Ernest Tubb titled, ‘Mr and Mrs Used To Be’. The album gained the top 15 position at the charts. The success of their debut album led them to release two more albums subsequently titled, ‘Singin’ Again’ and ‘If We Put Our Heads Together’. Meanwhile, she continued with her solo grandeur, coming up with hit tracks such as ‘Happy Birthday’, ‘Blue Kentucky Girl’ and ‘The Home You're Tearing Down’. She then followed them up with two albums, ‘Songs From My Heart’ and ‘Blue Kentucky Girl’. Most of the songs from the album were enlisted in the Top 10 Country hits. In 1966, she came up with the single, ‘You Ain’t Woman Enough’ The song gained much popularity, peaking to the rank of number 1 in Cash Box. It gave her the status of the number one country female recording artist. Over the next couple of years, she followed the success of her feminist single by coming up with several hit tracks and albums in the game genre including, ‘Don’t Come Home A-Drinkin’, ‘Fist City’, ‘What Kind of a Girl (Do You Think I Am)’, Your Spaws on Warpath’, and ‘Woman of the World (Leave My World Alone)’. 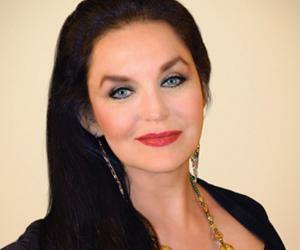 Throughout the 1970s, she released several hit numbers, one of which ‘Coal Miner’s Daughter’ peaked at number 1 on the Billboard Country charts, recording a sales record of over 5 million copies. It went on to enlist itself at the Billboard Hot 100, ranking at #83. In 1971, she collaborated with Conway Twitty to come up with several successful singles. They went on to become one of the most successful duos of country history – they received the Vocal Duo of the Year award four times in a row. In 1973, she came up with her most controversial hit, ‘Rated X’. Nevertheless, the song peaked at number 1 on the Billboard Country Chart. She followed this up with the album, ‘Love is the Foundation’, with the singles, ‘Love Is The Foundation’ and ‘Hey Loretta’. In 1976, she made a venture into the world of books by coming up with her debut book, an autobiography titled, ‘Coal Miner's Daughter’. The book found a place in the New York Times bestseller list. Such was the success of the book that it was transformed into an Academy Award-winning film of the same name. The following year, along with Twitty, she came up with an album, ‘Dynamic Duo’, a name which reflected their personality and popularity. They followed this up with five Number 1 singles and seven other Top 10 hits. The same year, she released a tribute album, ‘I Remember Patsy’ to honor her friend and country pop singer. She continued the success streak of the 1970s well into the 1980s and released several hits such as ‘Pregnant Again’, ‘naked in the Rain’, ‘Somebody Led Me Away’ and so on. 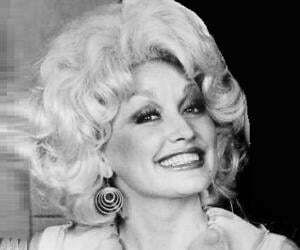 Subsequently, she released two studio albums, ‘Loretta’ and Lookin’ Good’. Towards the latter half of her career, she came up with one of her last solo releases, ‘Heart Don’t Do This To Me’ dated 1985. The song reached No. 19 at the popular country music charts. In 1987, she gave her voice to K.D. Lang's album, ‘Shadowland’ along with other country musicians and singers. They came up with the single ‘Honky Tonk Angels Medley’. The album reached a gold status and earned her a Grammy award nomination. The following year, she released her last solo album, ‘Who Was That Stranger’ for a major recording company as a solo artist. Thereafter, she spent much of her time touring than releasing or promoting her singles. After the death of her husband in 1996, she returned to the music scene and released her comeback album ‘Still Country’ in 2000. She followed this up with the release of her first single after almost a decade titled, “Country in My Genes’. The song peaked at the top spot at the Billboard Country Chart. In 2002, she came up with her second autobiographical work - Still Woman Enough. Just like its predecessor, this too was much appreciated and became a New York Times Bestseller ranking in the Top 10 position. Two years later, she came up with her next album, ‘van Lear Rose’. The album gained much popularity in the music circles with Rolling Stones voting it as the second best album of the year. In 2010, she performed at the Nelsonville Music Festival in Nelsonville. The same year, Sony Music paid her a tribute with the release of the album, ‘Coal Miner's Daughter: A Tribute to Loretta Lynn’ the album was super successful and made her the first female country recording artist to chart records in six decades. For her relentless contribution to music, she has been bestowed with numerous awards including four Grammy Awards, seven American Music Awards, eight Broadcast Music Incorporated awards, twelve Academy of Country Music, eight Country Music Association and twenty-six fan voted Music City News awards. In 2003, she became the proud recipient of the Kennedy Center Honors. In 2010, she was bestowed with the Grammy Lifetime Achievement Award. In 2013, she was presented with the Presidential Medal of Freedom by President Barack Obama. At a young age of 15, she tied the nuptial knot with Oliver Vanetta Lynn after courting him for a month. The couple was blessed with six children. Oliver Vanetta Lynn was lovingly known as Doolittle, Doo or Mooney. 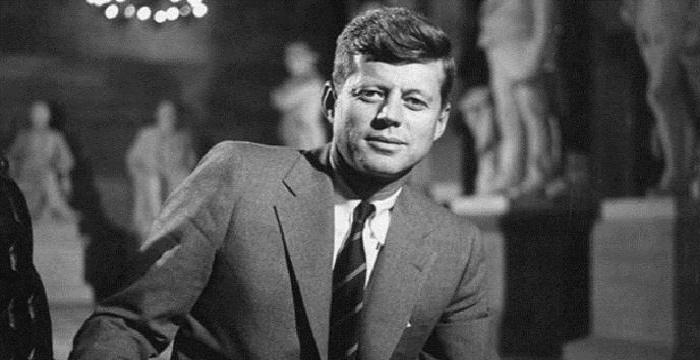 Their marriage, though a rocky affair with infidelity and fights, survived for almost fifty long years until the death of Mooney in 1996. Towards the later years of her life, she has undergone a number of health complications. In 2013, she met with a tragedy when her eldest daughter, Betty Sue, died of complications of emphysema. She is the second child that Lynn has lost.